Athearn, Frederic J. An Isolated Empire: A History of Northwest Colorado. 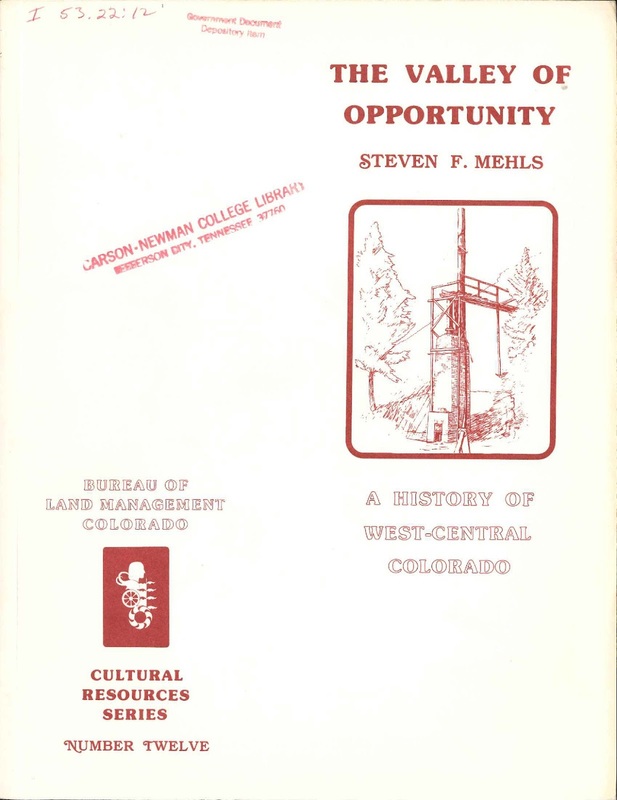 Denver: Colorado State Office, Bureau of Land Management, 1976. 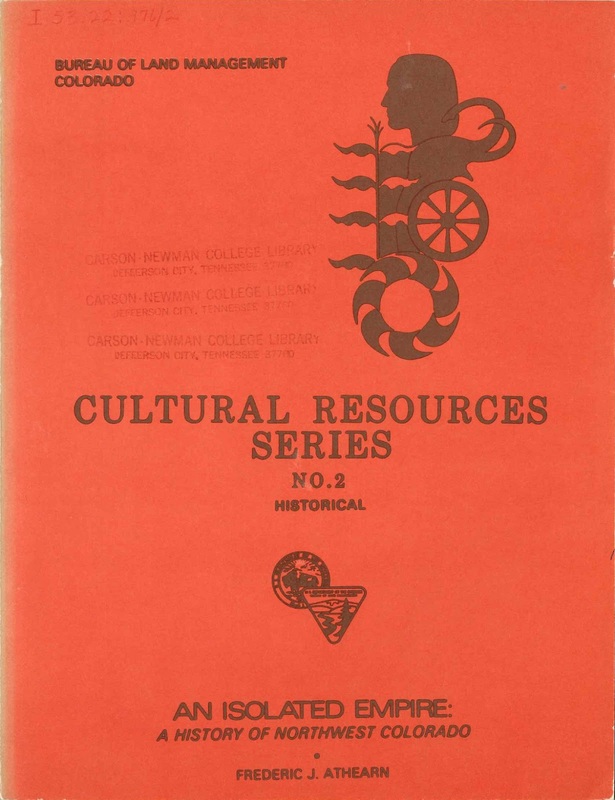 It can be found online in the HathiTrust Digital Library or in many Federal Depository Library Program libraries. Q: Why are there so many German and Italian surnames in Crossville, TN? 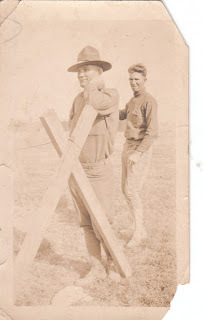 A: Because during WWII, captured German and Italian officers were held at the POW camp there. Some "trusties" were released to work on local farms. Locals came to the fence and bartered with them. The folks of Crossville were so kind that when the war was over, many of the prisoners went back to Europe, got their families, and moved to Crossville. I found this interesting from a genealogical standpoint. I learned through comments on the blog post that the camp is now a 4-H camp. The professor also linked to an interesting and well-documented article entitled "'To Win Our War with Butter and Beefsteaks': Camp Crossville and the Treatment of Axis Prisoners of War" written by Gregory Kupsky. The most interesting comment of all was by the daughter of one of the Germans held there who returned to Germany and moved to the United States after taking five years to convince his wife about how kind Americans were. Sometimes life just sort of catches up with you. I'd been trying to keep posting ahead with the blog so I wouldn't fall behind, but now I'm behind because my life has outpaced the scheduled posts. I spent Thursday and Friday of last week in Nashville. I spent Saturday in Winston-Salem. Sunday was spent at church. Yesterday, I spent time with the kittens, then participated in a song service at a retirement home, then worked until late. Hopefully I will get this blog back on track, but the posts may be sporadic until I can build up a few posts! Did the Ridings family live in Smith County, Tennessee? Did the Ridings family who moved to Monroe County, Mississippi live in Smith County, Tennessee prior to their arrival? Plenty of online genealogies say that they did. Most say their children were born there from about 1816 to 1826. I only got to spend about 3.5 hours yesterday afternoon in the State Library and Archives. I mostly used abstracts for the county which are plentiful due to hard work of the Works Progress Administration employees involved in the Historical Records Survey Project for Tennessee. (I am sure many researching other states wish their state librarian at that time had been Mrs. John Trotwood Moore. I know when I work in another state's records I become even more appreciative of her foresight to have so many records abstracted for use.) 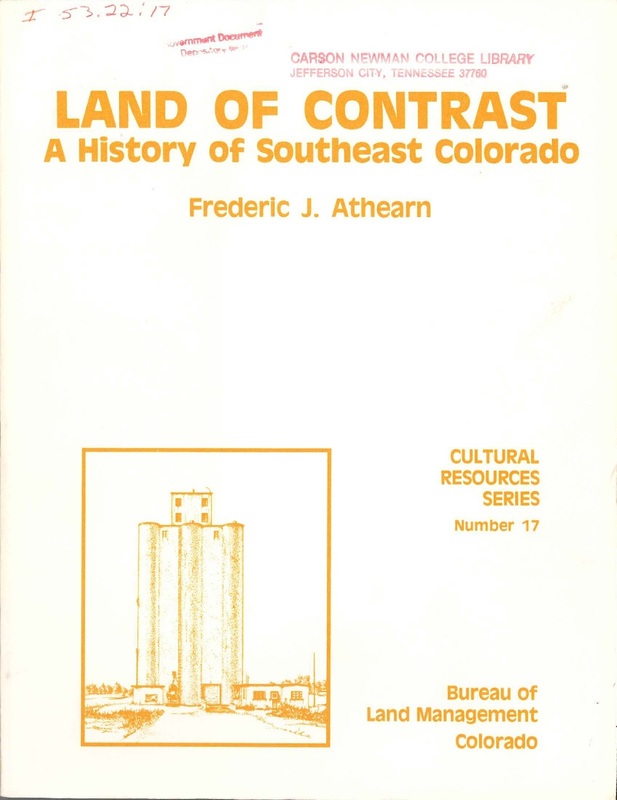 I utilized not only the WPA records but other published abstracts for the county. My main focus was on court records, land records, and wills/probate records. I knew I needed to get to the tax records, but I put those off. I kept my focus on the years 1800 to 1840, even though I knew the family was probably only there a few years on the other side of the range of the children's births. I was also looking for two other allied families as I was researching the records. What were my findings? I did not discover a single Ridings family in all the abstracts. I suspected one of the allied families (Anglin) might not be present in that county. I thought it possible that another might show up in an occasional record since they were allegedly in a nearby county in the early years of that same period. I did find records with this surname (Sheppard/Shepherd) in the county, but I am unable to link these persons with my ancestral family at the present time. It does not currently meet the standards for a reasonably exhaustive search. I need to look at those tax records, and I may need to eventually go back through the records themselves for this period to see if names were omitted in the abstracts. Legislative petitions also need to be checked. So did they live in Smith County? Yes. How do I know? Because he appears in the 1830 census for Smith County. [1830 U.S. Federal Census, Smith County, Tennessee, p. 112 (written), line 22, James Ridings; digital image, Ancestry.com (http://www.ancestry.com : accessed 13 Nov 2015); citing NARA microfilm publication M19, roll 181.] The maiden name of James Ridings wife is sometimes seen as Tubb or Tubbs, but most records place a question mark at the end of it. If this is her surname, I did spot references to persons with the Tubbs and Tibb or Tibbs surnames (which could be typographical errors because of the proximity of the i and u on a keyboard). Several Tubbs families are enumerated on the same page. I need to do a more exhaustive search of that name in the county as well. In my rush to create a research plan at the last minute after discovering a few hours would be available to research, I neglected to include that surname on my list. So many records, so little time! 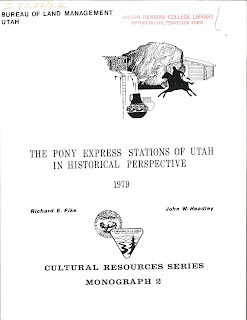 Fike, Richard E. and Headley, John W. The Pony Express Stations of Utah in Historical Perspective. Salt Lake City: Bureau of Land Management, Utah, 1979. 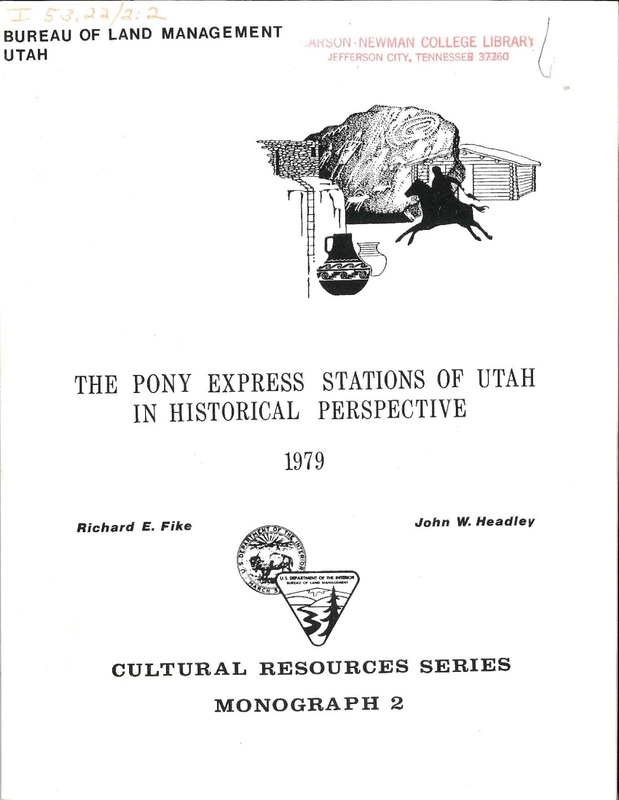 This government publication focuses on the Pony Express in the state of Utah. 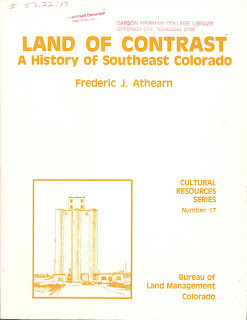 It is filled with maps and photographs to help readers understand the location of each station in the state. Today, the Pony Express has a national museum in St. Joseph, Missouri. The website offers short biographies in its historical notes, a timeline, and a list of riders which may be of interest to genealogists. The Pony Express National Historic Trail spans eight states--California, Colorado, Kansas, Missouri, Nebraska, Nevada, Utah, and Wyoming. The website contains information on the history and culture of the trail and a bibliography for those seeking additional information on the Pony Express. Veterans Day is one of the holidays I remember from childhood. I was always confused because most of my family members still referred to it as Armistice Day. In the early 1970s, they tried to observe it the 4th Sunday of October. I lived in Mississippi which continued to observe it on November 11. Many other states followed suit and soon Congress was forced to return the holiday to the day on which the Armistice was signed. 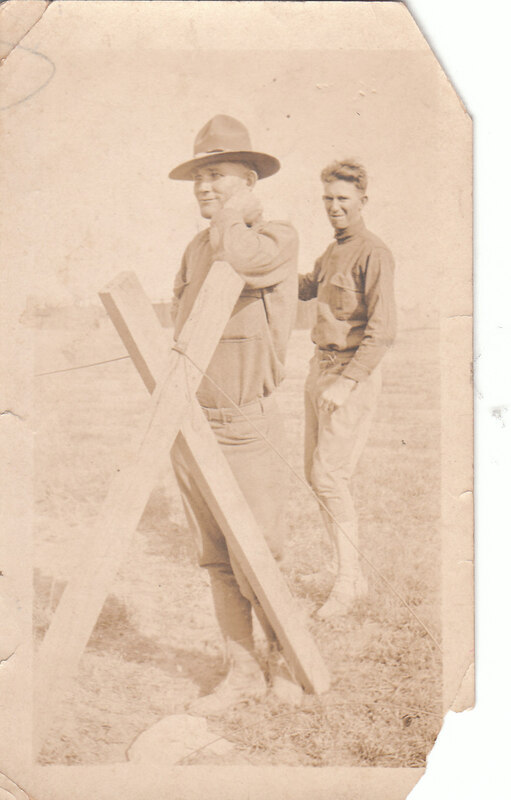 "Pappaw," my paternal grandfather, was a World War I veteran, fighting in France, where he earned a purple heart. Chopra, Deepak and Tanzi, Rudolph E. Super Genes: Unlock the Astonishing Power of Your DNA for Optimum Health and Well-Being. New York: Harmony Books, 2015. Genetics is a rapidly evolving field of study with so many discoveries that one must be dilligent to keep up. The authors have shown that they are well-versed in recent discoveries, even reporting on the recent epigenetics discovery that one's ancestors memories may be etched in our DNA. The first section with its focus on the science behind DNA and epigenetics is by far the most interesting. The authors attempt to apply the research to lifestyle choices in the second part. Unfortunately the authors seemed to be guided by and promoting New Age philosophies in this section and in the third section which focused on evolution. I would prefer to read a book on genetics that was a bit more neutral and did not promote Eastern religions and philosophies. The appendices were more interesting than the last two parts of the book. This review is based on on Advanced Review e-galley provided by the publisher through NetGalley for review purposes. Barbara Yoder } I solemnized the marriage of Levi Lance and Barbara Yoder I vow the 9th day of Nov 1837. Jacob Bowman J.P.
Wayne County, Ohio marriage records, volume 4A, p. 167, Levi Lance-Barbara Yoder marriage, 9 Nov 1837; Wayne County, Ohio courthouse, photocopy in possession of Lori Thornton. The above marriage record and transcription belongs to my great-great grandparents, Levi Lantz and Barbara Yoder. They were married on this day 178 years ago. I did not have time to write a more researched post so I decided to report on the conference where I presented this weekend. Sevier County Public Library system holds a genealogy conference each fall. This year Mark Lowe was the scheduled speaker but last minute changes were made when Mark was unable to attend. Ann Blomquist and I did many of the sessions and Art Bohanan (aka "Milo") who is a forensic investigator and works with Dr. Bass at UT Knoxville's famed "Body Farm"did one of Mark's sessions. Three ladies were already scheduled to do a session on growing up in the Smokies as Preacher's Kids. Their time slot was altered slightly but they shared some interesting memories. Conference attendees seemed to love the presentations. Many said they learned a great deal. My extended DNA talk was the most advanced topic presented. After talking with several of them the day before I gave it, I knew my talk was perfect for the audience. I did go home and put a few extra slides in, mainly because a few things were not mentioned on Friday. Some were beginners with DNA, just deciding where to test or if it was for them. Some tested with all three companies. No one admitted to understanding the results or what to do with them. Before the end of the day, several downloaded GenomeMate Pro or were going to upload to GEDmatch. One even uploaded data to Promethease to secure a health report. In all it was an interesting day. One person came up to me after the conference and asked if I ever slept. I just kind of laughed. As I was chatting with a genealogist later that evening, the person told me I was in danger of being in a league with a prominent genealogist when people started asking me that question. I laughed, knowing that I'll never be in a league with that genealogist. If the condition is genetic, however, I do know on which segment of which chromosome it originated. One quick note: The Cumberland Gap Genealogy Jamboree is coming again this June. I will be speaking on Saturday. Thursday Angie Bush posted on Facebook's ISOGG group that Ancestry DNA was now reporting the total shared centimorgans. Everyone was excited about this development, but people began to notice discrepancies which were being attributed to algorithms. I decided to take a match for a known second cousin once removed and compare the totals reported for Ancestry and GEDmatch, using default settings. For privacy reasons, I'm not including the match's name or GEDmatch kit number. Ancestry reported 96 cM across 6 segments. GEDmatch returned 6 segments. If you look at the bottom, it shows that the total of segments > 7 cm was 98.3 cM. This is pretty close. While I'd love to know which 2.3 cM Ancestry DNA did not find valid, it is not something over which I will lose sleep. Yes, I'd love for Ancestry to give me the segment data. I tell them I want a chromosome browser every chance I get. 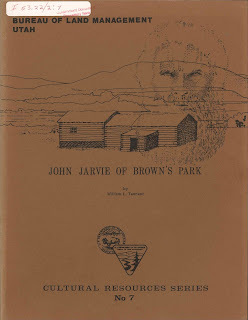 Tennent, William L. John Jarvie of Brown's Park. Salt Lake City: Utah State Office, Bureau of Land Management, 1981. 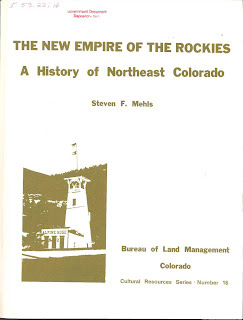 What a fascinating biography provided to us all by the Bureau of Land Management's Utah office! 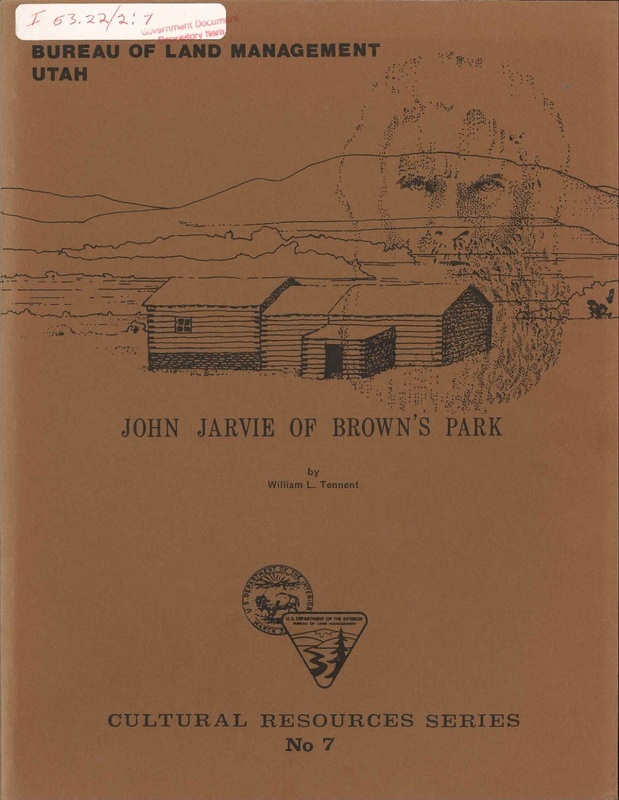 The subject of the publication, John Jarvie, was born in Scotland in 1844. He was murdered at Bridgeport, Utah 6 July 1909. The narrative is full of cattle rustling, outlaws, and other things that bring the area to life. The researcher provides many photographs and maps that break up the well-documented text. 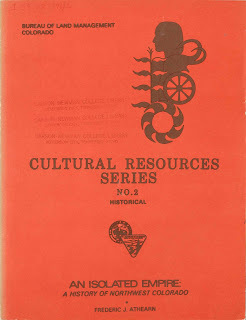 Fortunately, it is available to us through HathiTrust Digital Library. 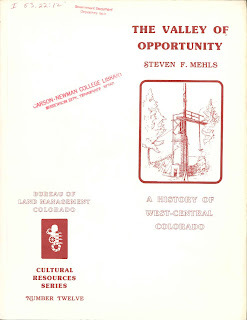 Hard copies are available in many libraries associated with the Federal Depository Library Program. Sevier County Public Library's Genealogy Conference begins tomorrow with tours and a dinner. While pre-registration was required for tomorrow's events, interested persons may register at the door for the sessions being offered on Friday and Saturday. J. Mark Lowe is unable to come so a new lineup of speakers and sessions is now available. For further information, call the library's genealogy department at (865) 453-3532. The Records of Our Quiet Ancestors: Legislative Petitions, GAR Records, Deeds, etc. Working in an academic library, one sometimes encounters a genealogical treasure in a strange place. Such was the case when I opened The Life, Times, and Travels of St. Paul by J. S. Conybeare and J. S. Howson (Unabridged ed. ; New York: E.B. Trent, 1869) which was missing its title page. 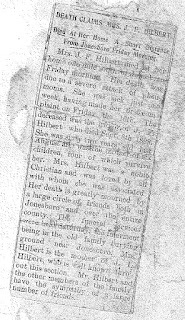 Pasted inside the front cover of the volume was an obituary from an unnamed newspaper, possibly the Herald and Tribune (Jonesborough, Tenn.), for Mrs. J. F. Hilbert. Mrs. J. F. Hilbert died at her home one mile south of Jonesboro Friday morning. Her death was due to a severe attack of pneumonia. She was sick just one week, having made her first complaint on Friday the 16th. 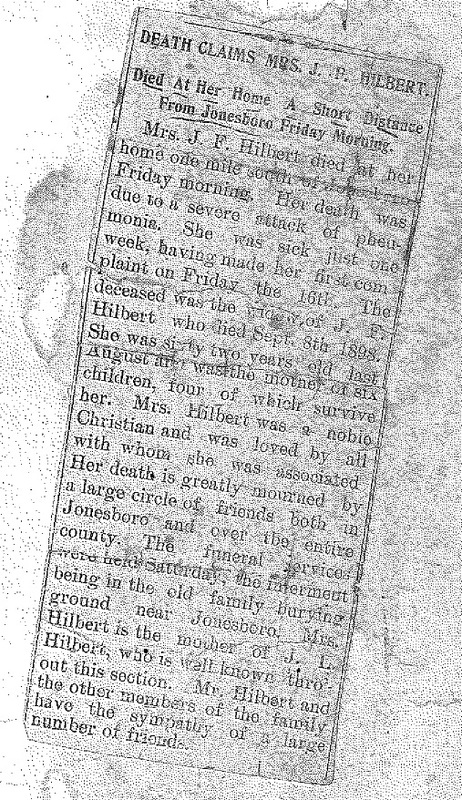 The deceased was the widow of J. F. Hilbert who died Sept. 8th 1898. She was sixty two years old last August and was the mother of six children, four of which survive her. Mrs. Hilbert was a noble Christian and was loved by all with whom she was associated. Her death is greatly mourned by a large circle of friends both in Jonesboro and over the entire county. The funeral services were held Saturday, the interment being in the old family burying ground near Jonesboro. Mrs. Hilbert is the mother of J. L. Hilbert, who is well known throughout this section. Mr. Hilbert and the other members of the family have the sympathy of a large number of friends. Being the curious genealogist that I am, I wondered who she was. I knew that Jonesboro was an old spelling of Jonesborough so I suspected this family was from Washington County, Tennessee. I first located them in the 1880 census1 which gave me given names for Mrs. Hilbert, her husband, and even the mentioned son. I discovered that their marriage record from 1861 contained a curious date of issue for the license, 31 September 1861.2 This was obviously a clerical error as most of us can recite, "Thirty days hath September, April, June and November . . . " The online 1861 calendar verifies September 1861 ended on September 30.